German Economy Minister and Vice Chancellor Sigmar Gabriel is going to visit Moscow within September for talks on the bilateral economic cooperation between Germany and Russia and the general conditions for German enterprises in Russia, according to a spokesman for the ministry of economy and energy. 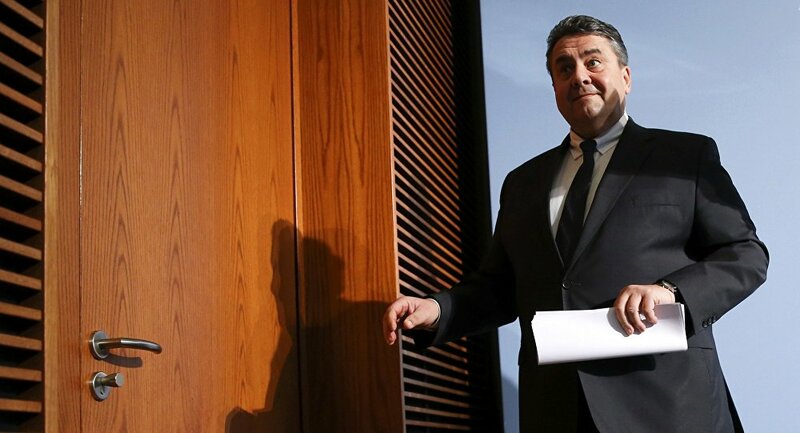 MOSCOW (Sputnik) — German Economy Minister and Vice Chancellor Sigmar Gabriel is planning to visit Moscow with a delegation this month for talks on Germany-Russia economic cooperation, a spokesman for the ministry of economy and energy told Sputnik on Thursday. "We are in the process of planning a trip for Minister Gabriel to Moscow within September. The reason for the journey are talks on the bilateral economic cooperation between Germany and Russia and the general conditions for German enterprises in Russia. Minister Gabriel will be accompanied by a business delegation," Andreas Audretsch said. The minister first planned to visit the Russian capital in June, but cancelled his trip due to the Brexit vote, when the United Kingdom decided the leave the European Union. The United Kingdom held a referendum on June 23, where the majority of voters chose to leave the European Union. Britain has not begun the official exit procedure yet as it still has not triggered Article 50 of the Lisbon Treaty. Moscow-Berlin relations have been overshadowed by the Ukrainian crisis and Crimea's reunification with Russia since 2014. Germany was among the Western nations that imposed sanctions on Russia for its alleged role in fueling the conflict in southeastern Ukraine.